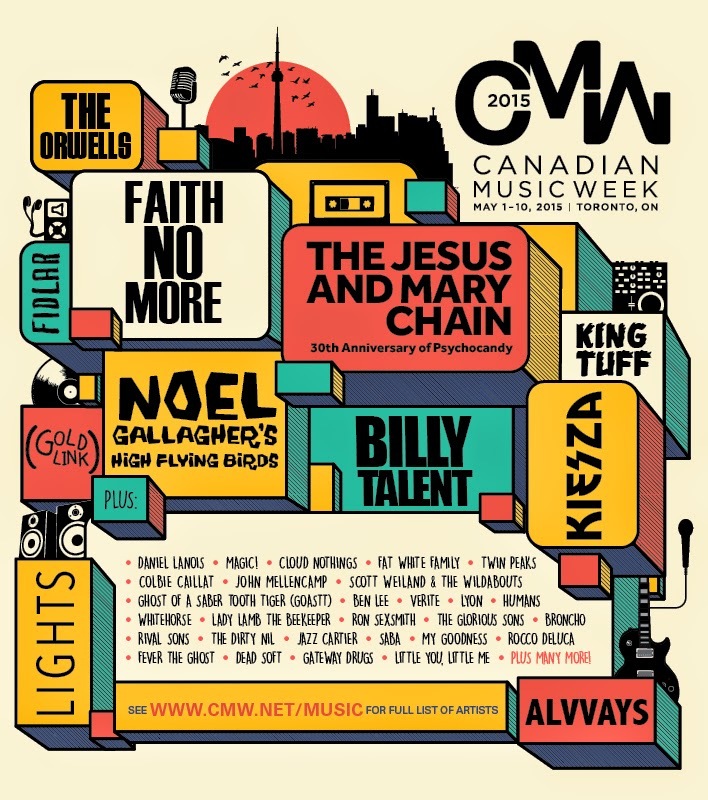 The 2015 edition of Canadian Music Week has set the bar high with the list of headlining shows. Among the intriguing ones are The Jesus & Mary Chain at The Phoenix for their tour feting the 30th anniversary of the landmark Psychocandy. A reunited Faith No More will rock the Sony Centre, with Noel Gallagher's High Flying Birds hitting the same venue. Among the other great names are Alvvays, Ben Lee, FIDLAR, Cloud Nothings, Daniel Lanois, Ron Sexsmith, and Scott Weiland.